CHANCE® Instant Foundation® systems are designed, tested, and proven in applications for DOTs, utilities, area lighting, architecture and airports. This system excels in the special construction and design circumstances presented by these applications and are listed in standards and specifications for numerous public and private sector entities. CHANCE Instant Foundations can be immediately loaded once installation is complete, resulting in higher productivity rates per crew and reduced installation costs. These foundations are a soil displacement system that requires no drilled holes or removal of spoils. 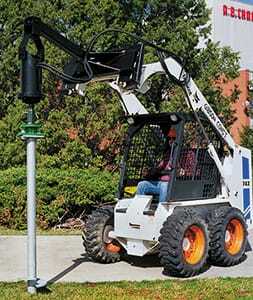 The lighter weight of this system, typically weighing between 130 to 215 pounds, reduces shipping costs and allows the use of smaller installation equipment, typically a skid steer loader or small excavator. CHANCE Instant Foundations are versatile in their application and installation in a variety of site conditions. 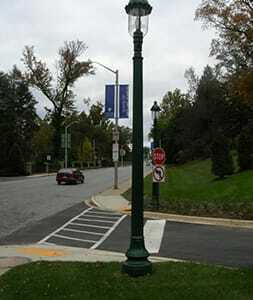 The design allows for installation in inclement weather conditions using typical construction equipment. 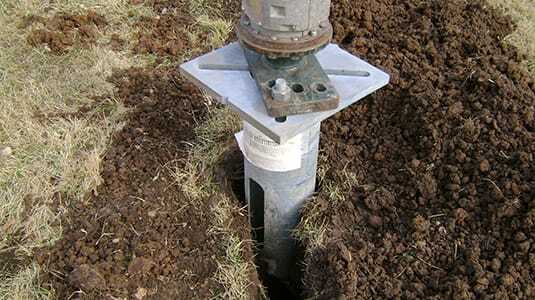 This lightweight foundation system and smaller installation equipment allow for installation in areas with poor access. The higher allowable bending moment combined with axial tension and compression capacity allows these foundations to be used in a wide variety of applications requiring multi-axis loading.